The world heard once again from that crazy white-haired Aussie at WikiLeaks.org, this time brandishing a leaked classified European Union document, the leak titled: “EU defense chiefs approved plan for military intervention against “refugee boats” in Libya and the Mediterranean.” Only 11 pages, it was surprising even by governmental document standards how much bureaucratic nonsense was pounded between the beginning and end of this report, and as disappointing as the objective may be, it should hardly be surprising. 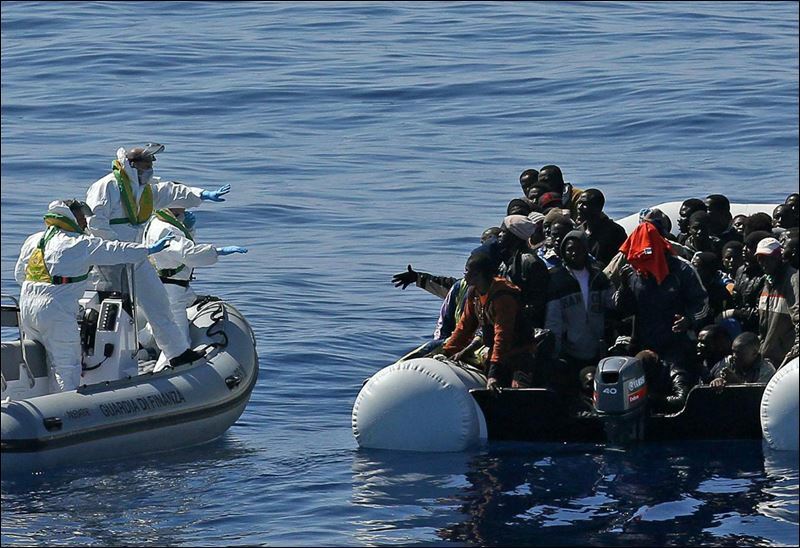 Effectively, the EU has deemed military protocol necessary in dealing with the sea-traffic of the Southern Mediterranean, which is largely traversed by Easterners to Europe—in this case, being Libyan refugees, smugglers and the like. Due to the EU’s considerably ambiguous backseat approach to the US military conflict in the Middle East, the document (authored by the European External Action Services or EEAS) reflects ability and room for future European imperialism in the Middle East, and suggests that by phasing this protocol quickly into operation with 3 Steps, the EU can further facilitate their capacity to get in on a slice of that middle-eastern-economic-resource-pie. Despite what European propagandists would enjoy everyone believing, this is not an initiative towards protecting borders and citizens, but rather a very direct power-play against all involved in the situation. The fact of the matter is that protecting European borders from refugees and drug smugglers is so infuriating that it’s practically humorous. For one, the War on Drugs worldwide is axiomatically laughable and an incredible waste of taxpayer money—and anyone perpetuating this faulty fight against helpless addicts is automatically putting power into the hands of any black-market looking to capitalize. Governments propagating this war should not invoke any sort of sympathy within any logical individual’s rationale, and if there is any quantifiable cultural interference from these foreign drug smugglers, then the power of the black-market should be taken out of their hands instead of siccing the Royal Navy on them in open waters, guns a’blazing. Can anyone say “Military Industrial Complex”? Furthermore, beyond the argument of smuggling is a concept a bit more pressing: the fact that the EU is siccing their Royal Navy on Refugees. Are anonymous drone-strikes not enough? Perhaps bombing civilian towns to “eradicate terrorism” won’t prove creepy enough for western citizens to wake up, but perhaps it’s just in the EU’s best interest to employ military forces to keep innocent easterners from vacating these hellish war-zones! Or perhaps someone needs to bring up the phrase “Military Industrial Complex” again. Then, to wrap up this government doc: “The EUMC stresses the need for uncertain legal issues to be resolved by the EU relevant services and MS as soon as practicable. The EUMC acknowledges the complexities of the legal aspects and considers that due to their importance and intricacy, those specific to the operation should be further developed and set in a single document, summarizing the current situation, what freedom of action exists, the open legal issues and the actions to be taken to solve these issues. This work should be undertaken by the legal services of all EU relevant services and by MS when appropriate.” It would appear that the EU has all its bases covered. They managed to hit all the bureaucratic textual checkpoints, so what follows will ultimately be determined solely by the level of outcry received from European citizens—and seeing as how this is just a single move in a much larger chess game, this journalist remains skeptical that the Libyan-refugee-chess-piece will remain on the board much longer. Assange needs to be taken out. Hasn’t learned his lesson. Hope he is eventually extradited to the USA.